One of the great things about Crufts is the 'show offer.' Many brands and stands offer visitors 'exclusive' Crufts deals to entice them to try products they may never have tried before, or to stock up on old favourites. But what's actually in those bags that you see being carried around the show? The bright, you can't miss it, pink bags are what contains this year's Show Guide. They're available to buy in the atrium and at stands throughout the halls. If you want to know what's happening when, the show guide is a 'must'. It will set you back £8 but, hey, you get your first bag to put some of your first purchases in! I'm a huge fan of Lily's Kitchen food and treats, for both my hounds and cat. 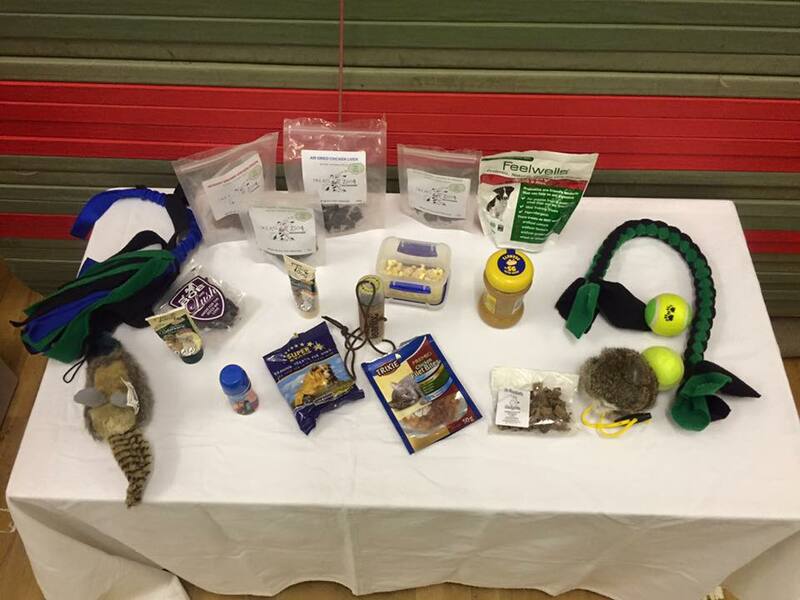 They produce an organic and 'natural' range of wet and dried dog and cat food, with a number of tempting recipes such as Hungry Hunter's Hot Pot (cat), Chicken Dinner (cat), Chicken supper (dog), Fishy Fish Pie with peas (dog) and Wild Campfire Stew (dog), to name just a small selection of them. Companion Dog World is the sister magazine to the weekly Dog World newspaper. I have to admit that I'm a tad biased (as I am their resident 'Ask the Expert' for behaviour and training and questions) but it's a great magazine that is available both in print and online. We'd love to know what's in your bag. 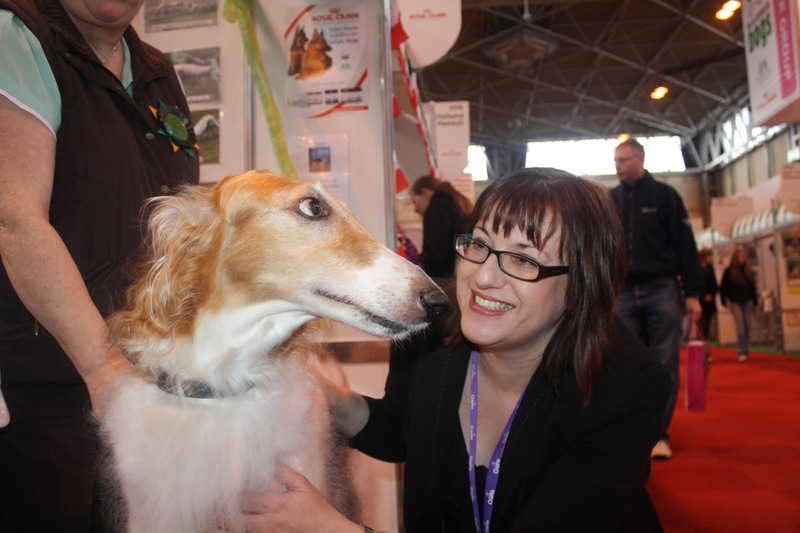 So if you make it to Crufts for the final day, do let us know! In honour of today being the last 'tongue out Tuesday' of February, here are 3 pics of my happy hounds - all with their tongues out! In case you don't know what #tongueoutuesday is - it all started over on Twitter, with people sharing photos of their hounds with their tongues out! It's a bit of fun and in the case of Jasper, who only has one tooth, it's very difficult to keep his tongue in his mouth! 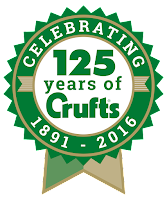 Don't forget, to be in with a chance of winning tickets to the 2016 Crufts, simply comment on this, or any of our blog posts that are published during February 2016. TDS Scentwork - I was lucky enough to host Pam Mackinnon of Talking Dogs Scentwork (TDS), for a scent 1 workshop. Where Ava was introduced to the joy of scentwork. 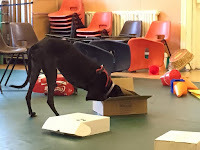 Rescue Me - I took part in the first ‘Puppy School – Rescue Me’ course, where I got to spend a week at Cheltenham Animal Shelter and work with a dog to help them achieve their Kennel Club GCDS bronze award. I got to work with the lovely Cookie – a Saluki cross – and we managed to achieve both bronze and silver. And the icing on the cake was that he was adopted! 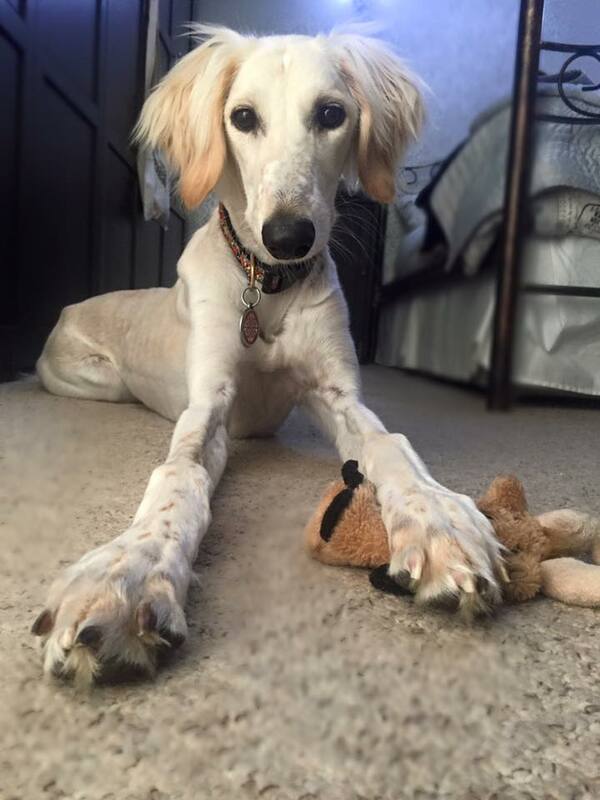 RIP Tula – After coming back from the Puppy School course, I was brought down to earth with a bump. My beloved Tula (the cat who was named thanks to Twitter), died very suddenly. She developed saddle thrombus – a fatal blood clot – and passed away in minutes. My heart was broken. On 29 March, I spoke at the GRWE annual conference and provided a demonstration of scentwork – it was lovely to be with so many like-minded people and to see the interest that my scentwork demo generated in TDS. Dissertation Deadline! 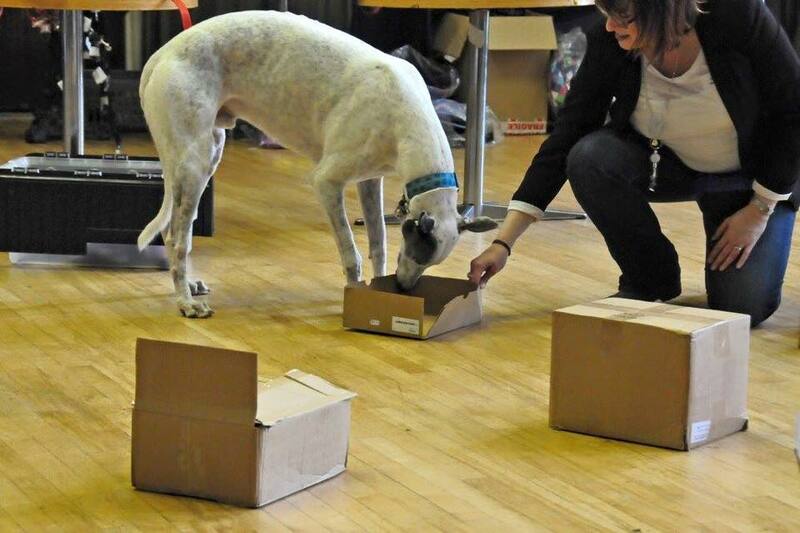 I finished my dissertation “Impulsivity in retired racing greyhounds (Canis familiaris): Is racing status a predictor or increased levels of impulsivity?” and handed it in, just before going on a well-earned break to Europe. Morris Minor - On June 15, we gave a home to Morris – a beautiful tabby and white kitten. Little did we know it, but Morris’ time with us was very short. I had to make the heart-breaking decision to say goodbye to him on 23 June. He spent the last few days of his life at the vets, extremely poorly, but was certainly well-loved in the short time he was with us. Trying something new with Ava- I went on the APDT,UK activity weekend with Ava. We both learned loads. Introducing Dennis – On 4 July we welcomed Dennis, a stunning tabby kitty, into our lives (our home isn’t complete without a cat). Dennis soon earned the nickname of Ninja Kitty. Learning about Life Skills - I attended the week-long Life Skills for Puppies, train the trainers, course at the University of Lincoln. Great week, great course, where I added more skills to my repertoire and got to work with and train some red-footed tortoises. University Degree -I finally received the final notification of my university degree marks. It was official, I was a Bachelor of Science, with Honours, in Canine Behaviour and Training – woohoo! Graduation – In the historic surrounds of Beverley Minister I was very proud to receive my degree and had the privilege of giving the students’ vote of thanks speech (in which I acknowledged the role that Mina had played in my education and journey). I was also very honoured and proud to receive the BSc Best Student Award – rounding off a hard 5 years of part-time university study. 2016 and the point of today’s post! December whizzed by, and before I knew it we were in 2016 and more precisely, on 2 January, Sherlock provided the inspiration for me to break my blogging hiatus. So, today, it’s damp, it’s drizzly and I’m up the top end of the field with my hood up (obscuring my view). Ava and Sherlock have been happily playing fetch and Jasper’s been ambling along in his inimitable style. Suddenly, all three hounds stop and in a split second, Sherlock shoots off at 30mph across the field. I turn and my heart sinks…Across the field is a farmer with his on-lead, German Shepherd Dog (GSD). Oh b*gger! I think. I hurriedly put Jasper back on his lead and call Ava back to me, as she’s started to follow Sherlock. Ava’s recall is great, so she’s back in a flash and back on her lead. Then I find myself haring across the field, 2 greyhounds in tow, calling Sherlock back and uttering the dreaded words “It’s ok, he’s friendly” to the farmer. Now, Sherlock is a true training challenge. 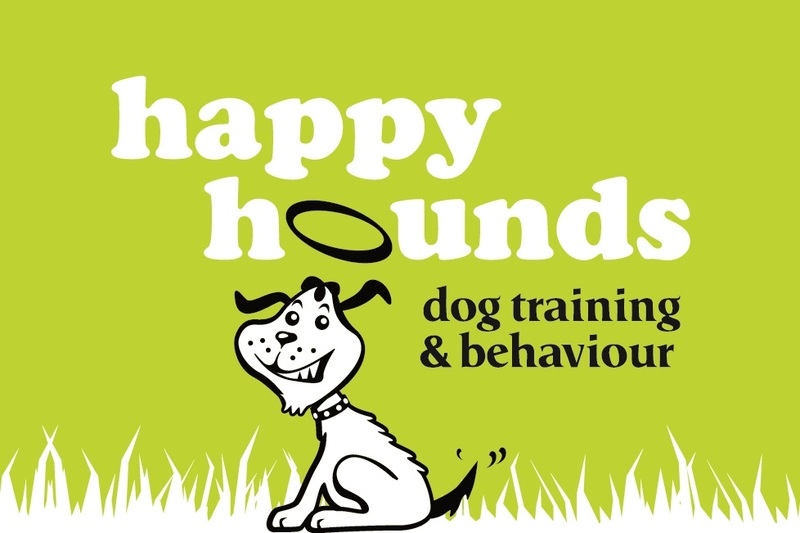 We’ve been to several puppy training courses and follow-on classes, and I continue training at home and around and about. However, Sherlock is not food motivated in the slightest and by not food motivated, I mean you could wave Wagyu steak under his nose and he wouldn’t be interested. He loves to play and I’ve certainly been using a lot of toys in our training but in the ‘real world’ not many toys ‘cut it’ either. It's fair to say, that the best reinforcers for Sherlock are those with a heartbeat (he certainly doesn't live up to the Saluki breed standard of being 'aloof'). I have to be creative in my reinforcers and often find myself using Premack/Life Rewards in everyday situations. I have become the uncrowned Queen of Reinforcers in my quest to find the one reinforcer that Sherlock would ‘sell his soul for’ (and I’m still looking)! Fresh meat, dried meat, liver cake, dried liver, special dried treats, dried fish, leanlix, cheese, hotdogs, cocktail sausage, tubi dog pastes are just the tip of the reinforcer iceberg that I have tried. Rabbit skin toys are generally the ones that work but on this occasion, all the rabbit toys in the kingdom could not match the allure of the young GSD. Sherlock just wanted to play. He ran rings around the GSD and farmer, and me and the hounds. Trying to catch a flying Saluki who thinks this is the best game in the world and to which no reinforcer can match the thrill of chasing, play-bowing, jumping and barking at the GSD, is a challenge to say the least. I used all the tools in my training toolkit to encourage Sherlock back and eventually, after what seemed like hours – but in reality was only a few minutes (if that), Sherlock came back and I was able to pop his lead back on. So what have I learned from this? Does it make me a cr*p trainer? Am I an irresponsible owner? The short answer is no! It makes me honest. Life happens and no matter how hard you try to manage your training environment, there will be occasions where the training goes awry. Rather than beat myself up about it. I’ve chalked it up to experience and made a mental note to work even harder on Sherlock’s recall, and plan in more one on one training sessions. All too often we focus on both our and our dogs' failures and forget about the successes. I may not be interested in competing in or training for any dog sports, and I have and love breeds that many people (some trainers included) like to think of as un-trainable and 'stubborn.' Some things may take longer to train but I focus on the successes. 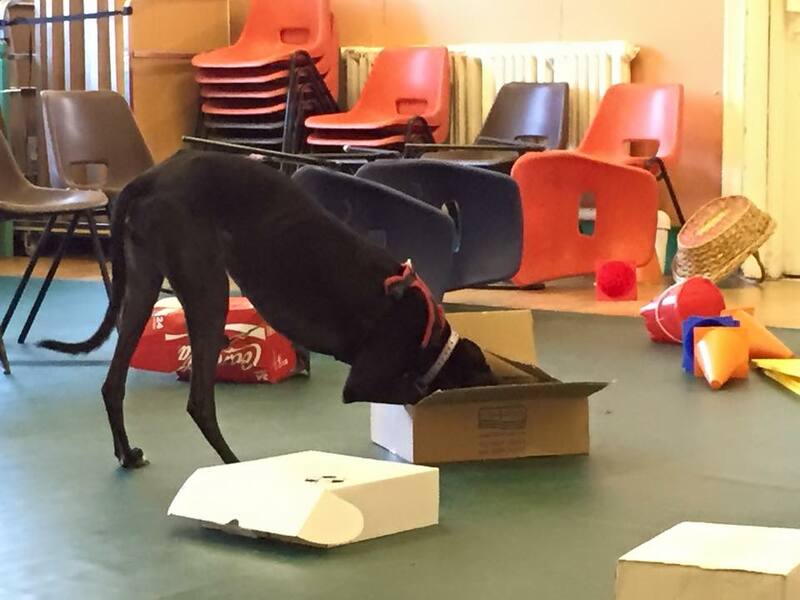 I train my dogs for the life I lead, and for what I feel is important, as well as ensuring that they have an enriching environment to live in and the tools to cope with life as a dog in the 21st century. And, as for Sherlock? Did he have an inkling that he had done anything wrong? Was he told off or corrected? No! He had a whale of a time! Nothing bad happened, the number of deposits going into his training bank account rocketed (off lead running and play are huge reinforcers), it was ‘just another day in the park’ as far as Sherlock was concerned. Playtime was over and his lead went on. On the flip side to this, I should also add that the GSD was not fearful or aggressive, his body language suggested he wanted to play too – although I suspect that there was some frustration as the lead was restricting him - but he managed his frustration. The farmer was also very understanding and calm throughout the process. Here's to all the unexpected learning that 2016 will bring and the adventures we'll have on the way. Here's to Sherlock & training challenges.